On this website we hope to give you a flavour of what our Society is about, tell you about some of the productions we have done in the past, and keep you informed of events to come. We generally perform two significant plays a year. We perform a varied mix of productions, including comedies, drama, the classics and we have even been known to present the occasional Agatha Christie! Comments to the Rangiora Players or The Webmaster are always welcomed, please use this contact form. 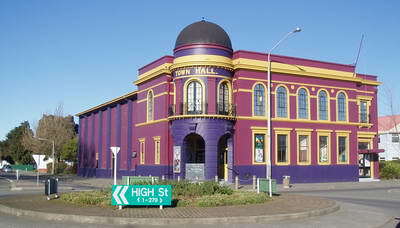 The Rangiora Players is the public name for the Rangiora Dramatic Society Incorporated of New Zealand.